Ex-NYC Mayor Rudy Giuliani gave up his bid for the Presidency of the United States at a press conference held at the Reagan Library in Simi Valley. The State of Florida reminded him a campaign of fear and hate will not resonate with them or the rest of the country. 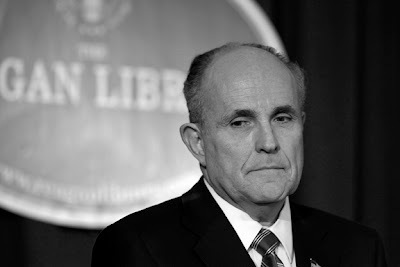 Mr. Giuliani gave his support and endorsement to "his friend" Senator John McCain who's campaign of hate is on track and resonated with the Republican voters of Florida.